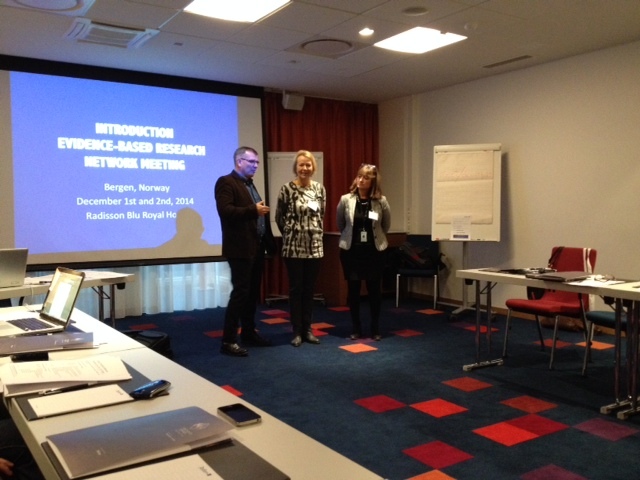 On the 1st and 2nd of December 2014 The Evidence-Based Research Network had its founding meeting in Bergen, Norway. 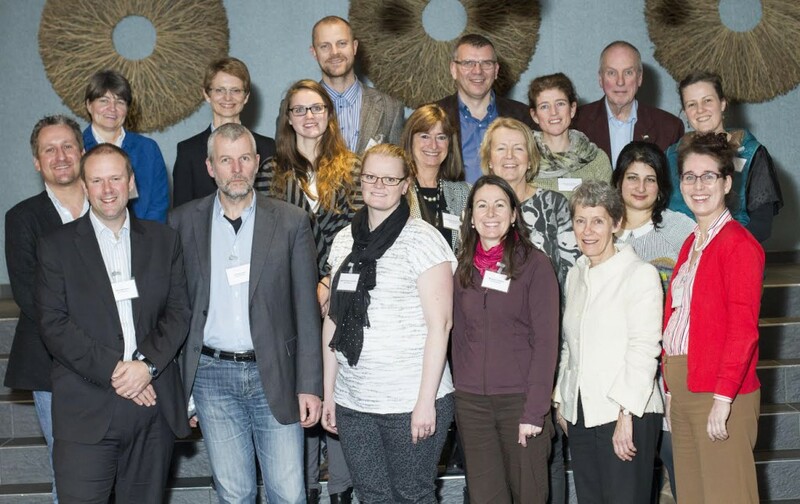 Participants from Australia, Canada, Denmark, the Netherlands, Norway, the UK, and USA, discussed and planned to establish an international network for evidence-based research. Participants were: Klara Brunnhuber, Kjetil Gundro Brurberg, Iain Chalmers, Robin Christensen, Donna Ciliska, Maureen Dobbins, Thea Marie Drachen, Mette Brandt Eriksen, Birgitte Espehaug, Paul Glasziou, Gro Jamtvedt, Majbritt Ursula Johansen, Carsten Juhl, Marlies Leenaars, Hans Lund, Malcolm Macleod, Mona Nasser, Monica Wammen Nortvedt, Hanna Nykvist, Karen Robinson, Matt Westmore. At the end of the meeting a Steering Group was established.